At the time of writing, the Danish pop sextet [Alphabeat] are riding high in the UK, where their debut album has sold over 100,000 copies in the wake of the huge hit singles “Fascination” and “10,000 Nights”. In addition to their knack of coming up with catchy hooks, Alphabeat’s success is also based on hard work in the rehearsal room. The Brits are still astounded that Alphabeat aren’t a manufactured pop act, but a real band that has worked hard in the rehearsal room for years. “We are forever finding out that Brits are amazed that it’s possible to play pop music the way we do and at the same time be a ‘proper’ band with years of experience,” explains guitarist Anders Bønløkke, the main architect behind the band’s songs. It’s around him that the rest of Alphabeat – Rasmus Nagel (keyboards), Anders Reinholdt (bass), Troels Hansen (drums) and vocal duo Anders SG and Stine Bramsen – stack up the songs’ colourful building blocks. In Danish — Mere om Alphabeat. In autumn 2007, Alphabeat moved en masse to London in order to pursue their dreams of musical conquest. EMI spotted the sextet and were captivated by their catchy songwriting – but they weren’t the only ones. Their giant competitors Warner and Universal also fancied Alphabeat’s contagious pop, and a bidding war broke out. Iain Watt (Mika, etc.) was drafted in as the band’s international manager, and Alphabeat found themselves in the hands of experts who have launched superstars such as Blur, Coldplay, Radiohead, Gorillaz, Daft Punk, Kylie Minogue and Robbie Williams. 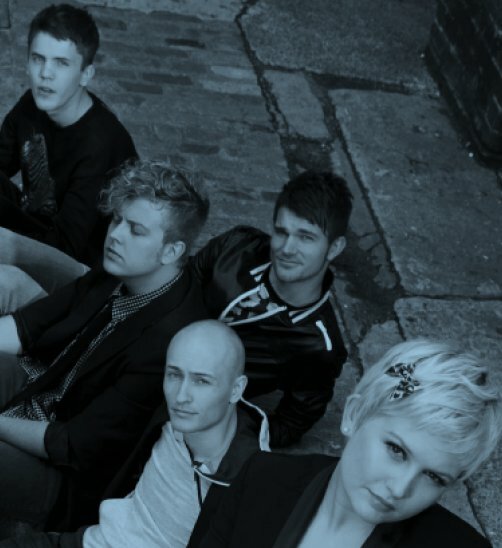 In addition to a visit to the USA, Alphabeat also plan to record a new album in 2009. As well as working with Alphabeat, Copenhagen Records also has plans to sell Spleen United in the Benelux countries, and there has been interest from abroad in the label’s singer-songwriter Mads Langer too – and the story of Nephew’s co-operation with Timbaland still never fails to raise a smile in the label’s office. This entry was posted on January 20, 2009 at 1:35 pm and is filed under alphabeat, boom boom magazine with tags 10000 nights, alphabeat, anders Bønløkke, anders reinholdt, anders sg, christian backman, copenhagen record, danish pop music, EMI, fasincation, iain watt, london, pop, pop music, rasmus nagel, stine bramsen, this is alphabeat, timbaland, troels hansen. You can follow any responses to this entry through the RSS 2.0 feed. You can leave a response, or trackback from your own site.